performance degradation when thermal cycling. Most direct contact temperature systems on the market today use thermoelectric or Peltier cooling to move the DUT to temperature. Thermoelectric (TE) modules in these systems are most reliable in applications involving relatively steady-state cooling where DC power is being applied to the module on more-or-less continuous and uniform basis. However, fatigue and degradation or failure rates of TE modules are likely to occur with large temperature changes and frequent thermal cycling. 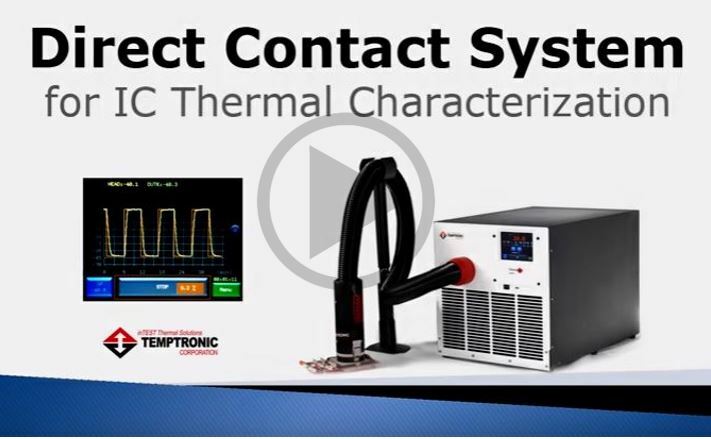 Not so with Temptronic's ThermoSpot® direct contact temperature control system. It eliminates the need for a TE module. 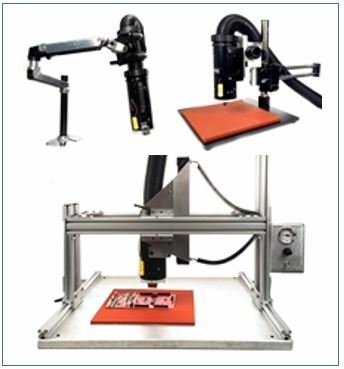 Three ThermoSpot models are designed for a wide range of DUT sizes and heat dissipation - from low to high Watt-emitting devices. 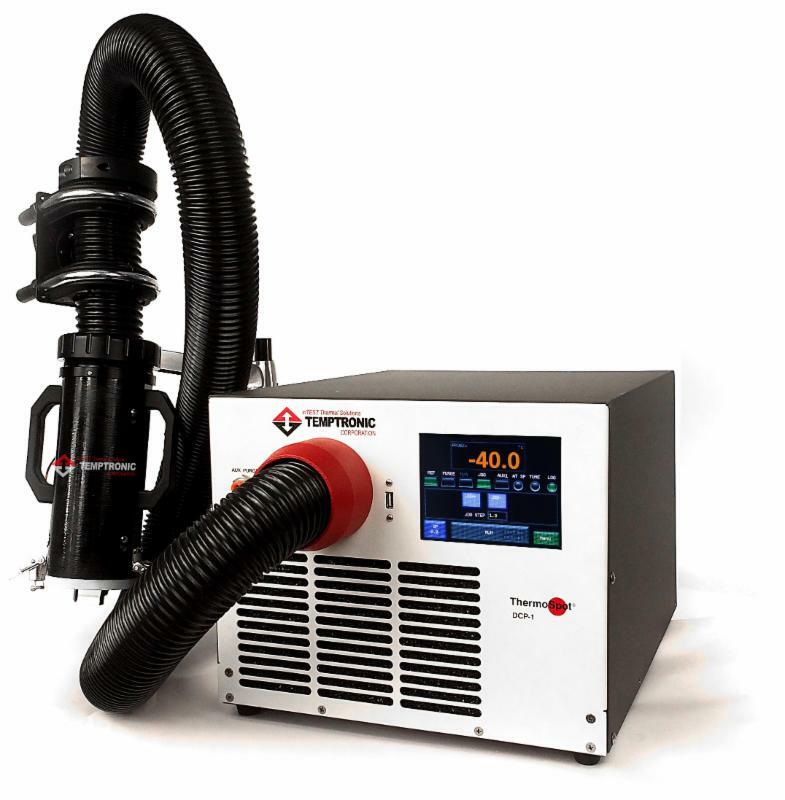 For example, at -40°C the systems provide a cooling capacity of 40W, 120W, and 180W, respectively. They will also reach -55°C for MIL-STD work. Contact us about which model is right for your application. Isolating your device under test may involve test sockets or board soldered locations. Making good electrical contact with a thermal source may require a light touch for a small IC or a large specified force for a power device, for example.